Toilet Repair, Plant City, FL | A Step Above Plumbing Inc. Toilet Repair, Plant City, FL | A Step Above Plumbing Inc.
We are always available to assist with toilet repair in Plant City, no matter how severe the problem may seem. There is nothing quite like that panicked feeling as you watch your toilet bowl begin to overflow or the crack in the tank suddenly start leaking on the bathroom floor. While you may be looking for quick solutions to the immediate problem, the reality is that toilet repair can be a hassle and it must be resolved quickly. At A Step Above Plumbing Inc., we have over 10 years of experience helping our customers with a variety of plumbing repair concerns, and we are always available to assist with toilet repair, no matter how severe the problem may seem. Toilet repair comes in all shapes and sizes, whether it’s a stubborn clog, a crack in the tank, the wax seal needs replacing, or the equipment inside the tank is malfunctioning. The good news is that our team at A Step Above Plumbing Inc. has the skills and experience to address any toilet repair concerns and ensure that your toilets are working their best. When you call on our team for any plumbing repair in Plant City, Florida, we’ll always make sure we do the work correctly the first time, so you don’t have to worry that you’ll have the same concern again a few weeks later. Having a plumbing company that you can trust to complete your toilet repair, clear a clogged drain, or even deal with commercial plumbing issues is important. At A Step Above Plumbing, Inc., we are ready to assist you when your own attempts at plumbing repair have failed or you have a major fix that needs to be addressed. 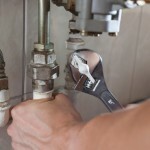 Contact us today for more information about our plumbing services at your home or business.